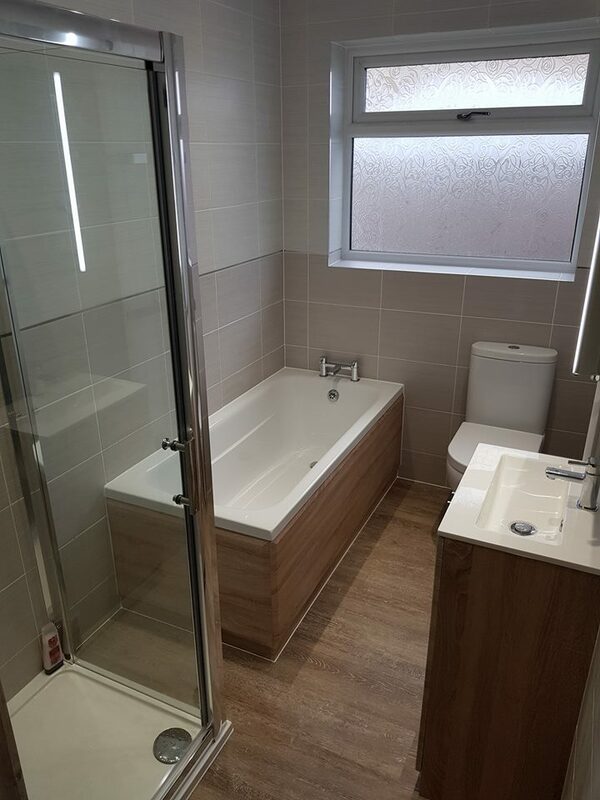 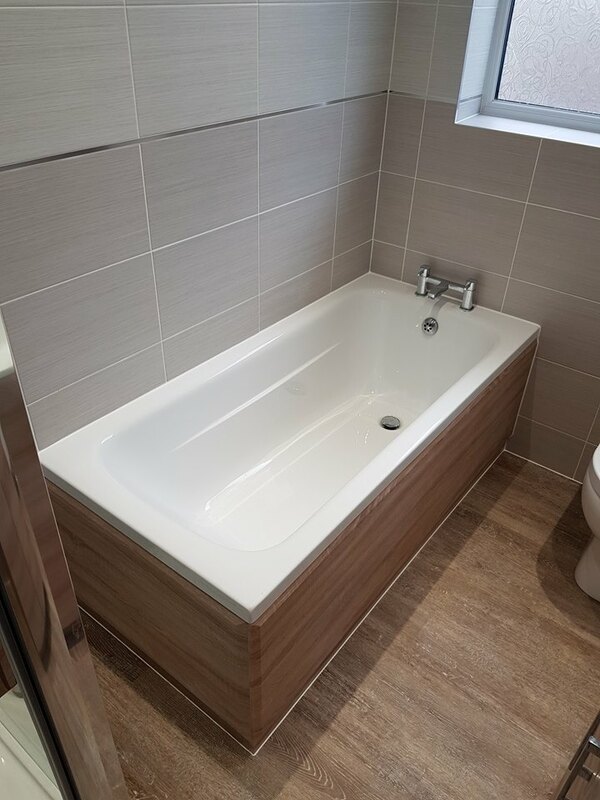 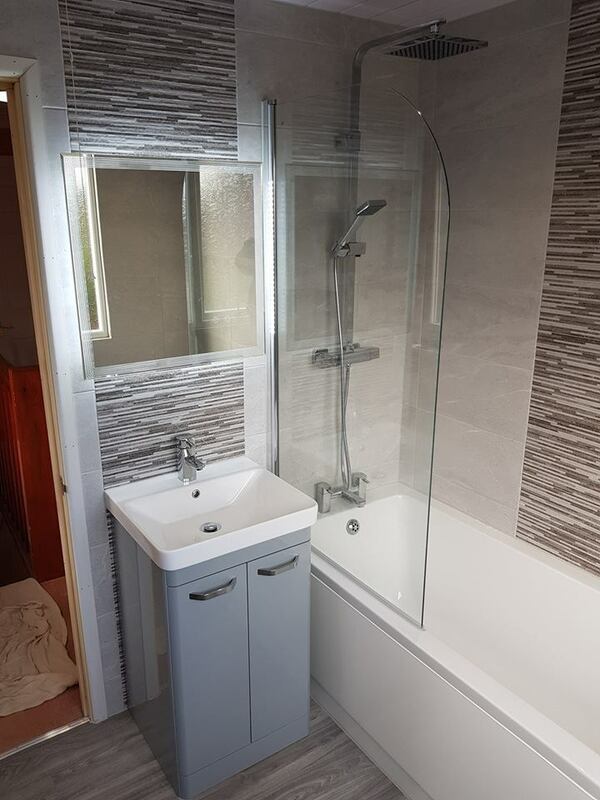 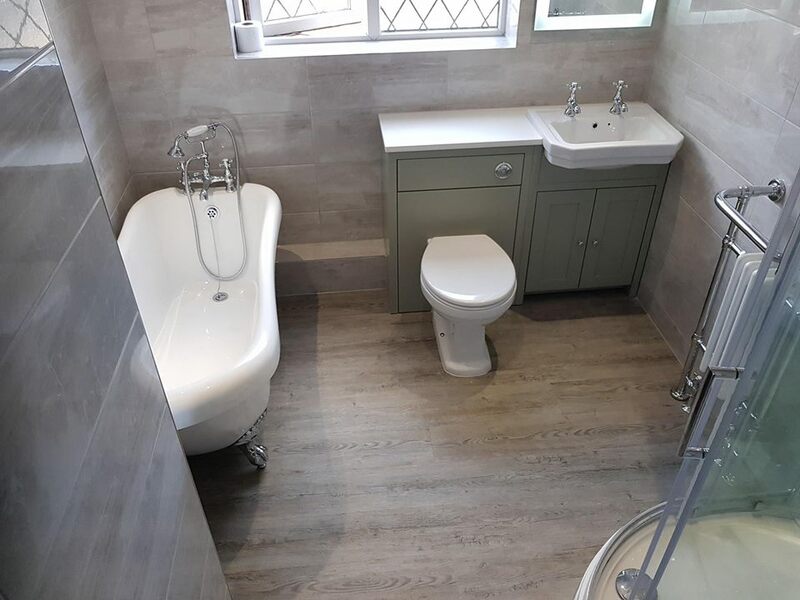 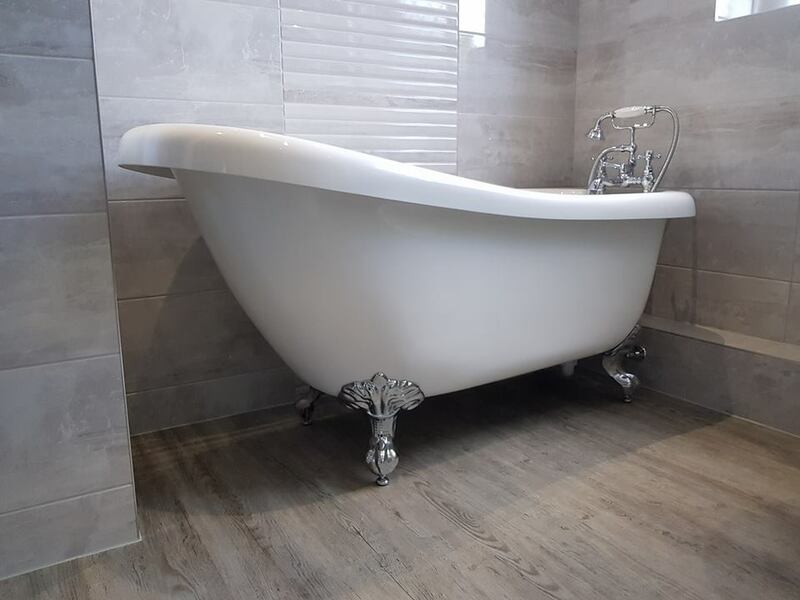 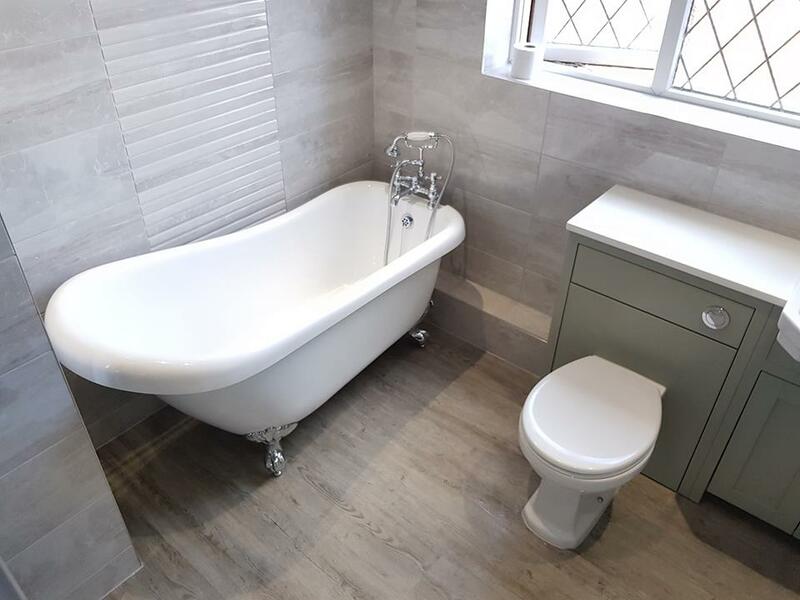 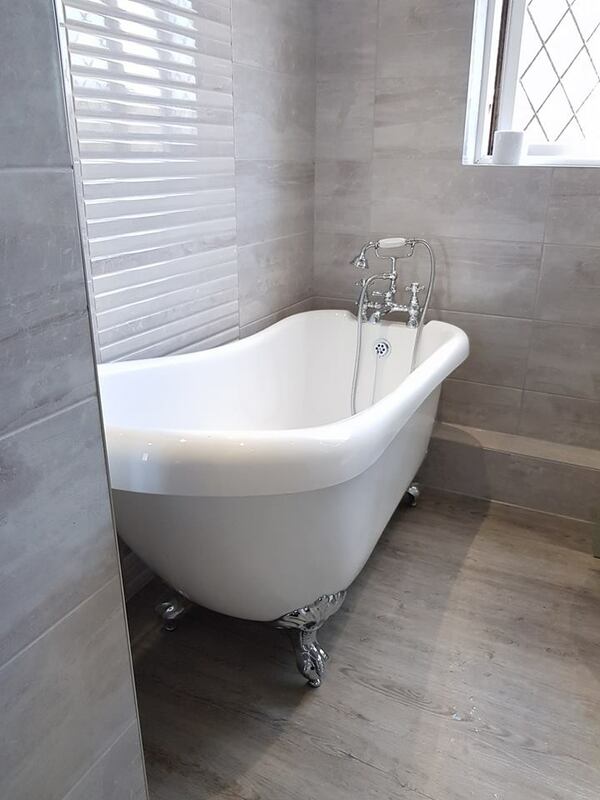 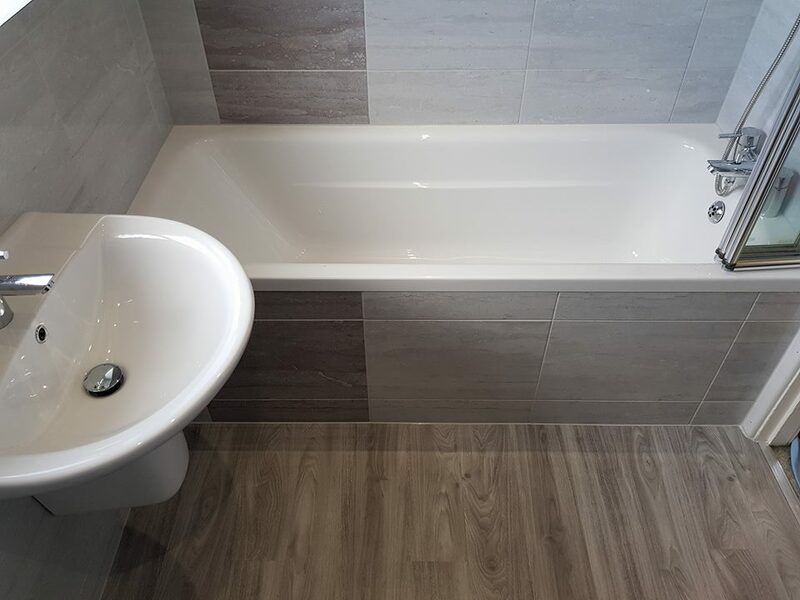 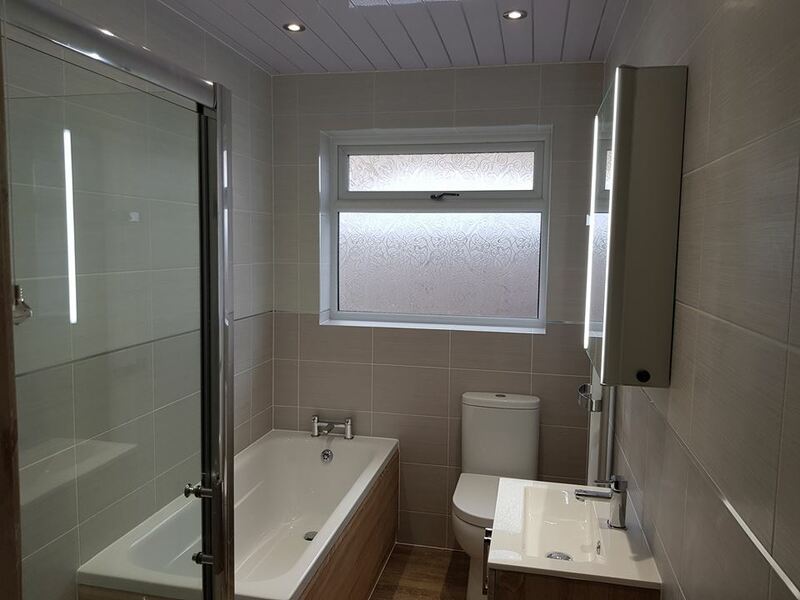 A lovely bathroom we completed in Featherstone with a freestanding bath. 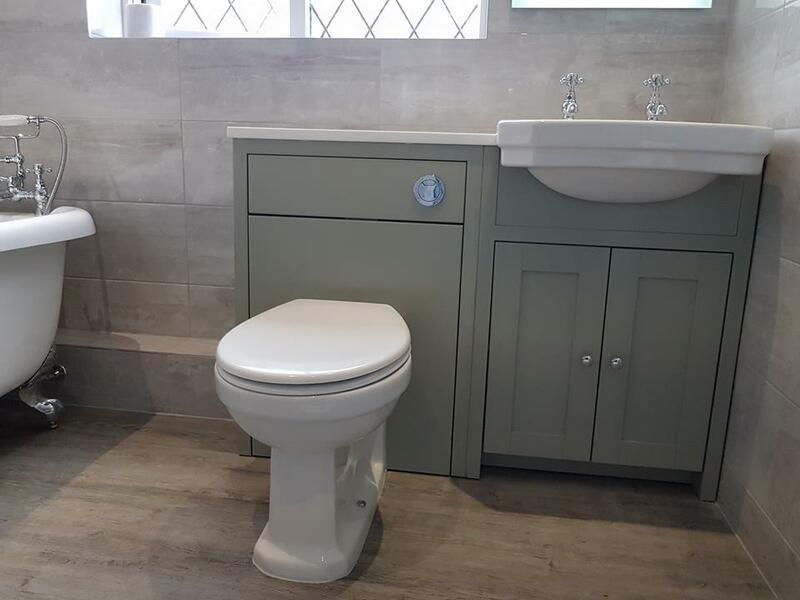 The furniture used is Tavistock Lansdown in a colour called pebble. 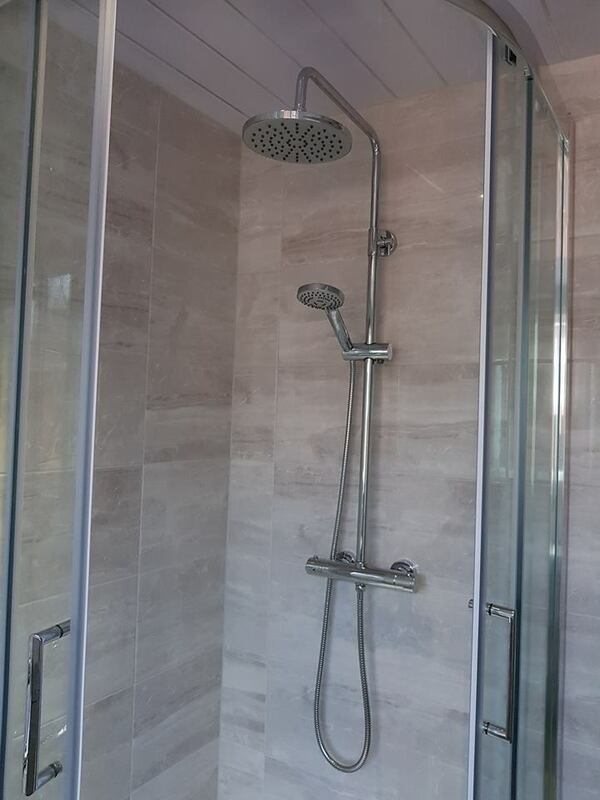 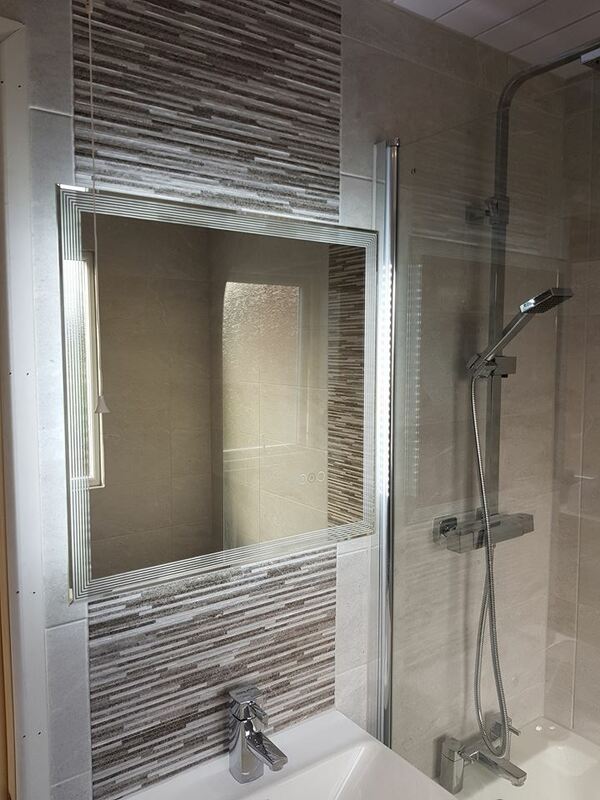 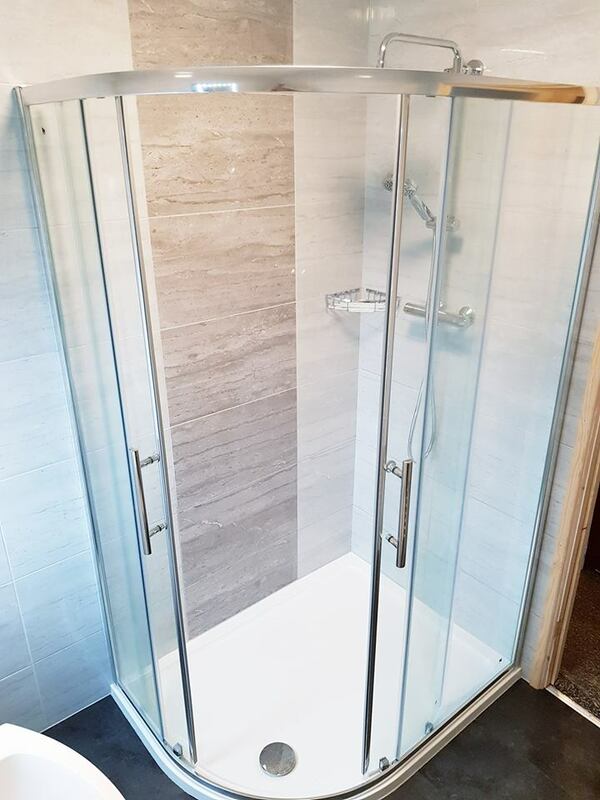 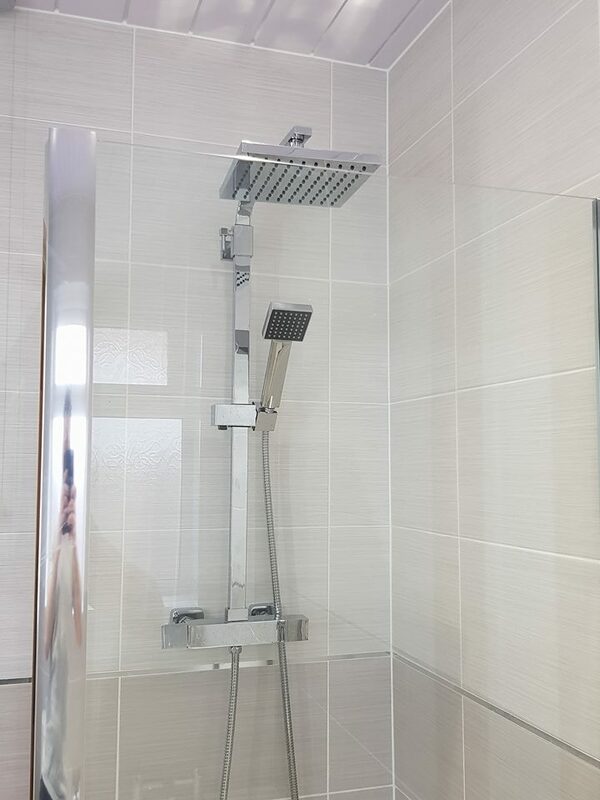 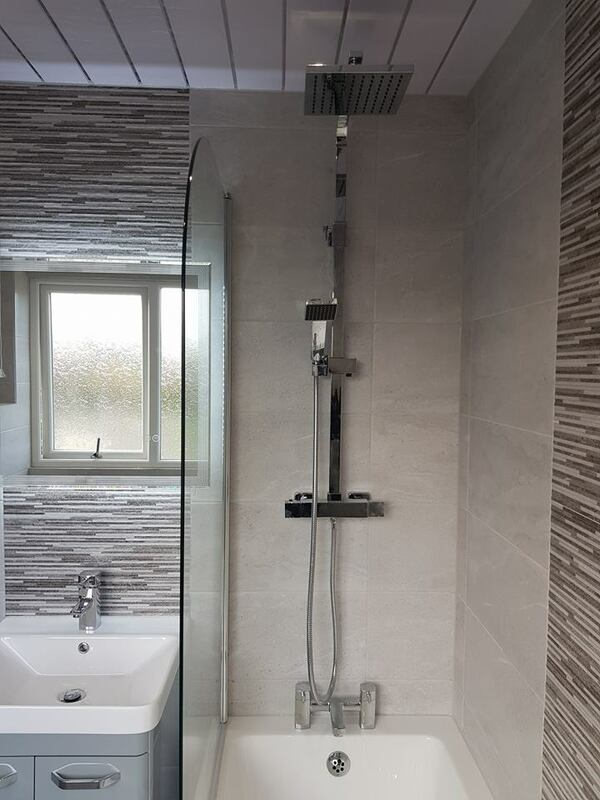 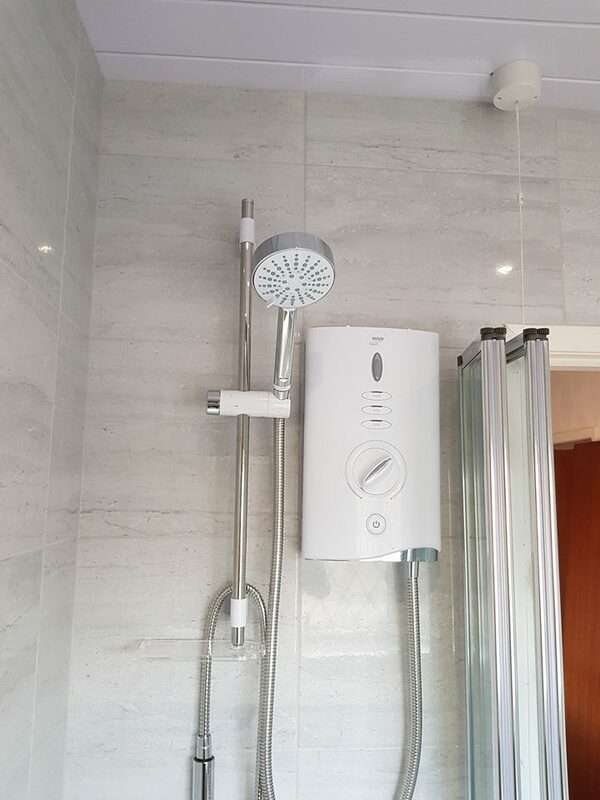 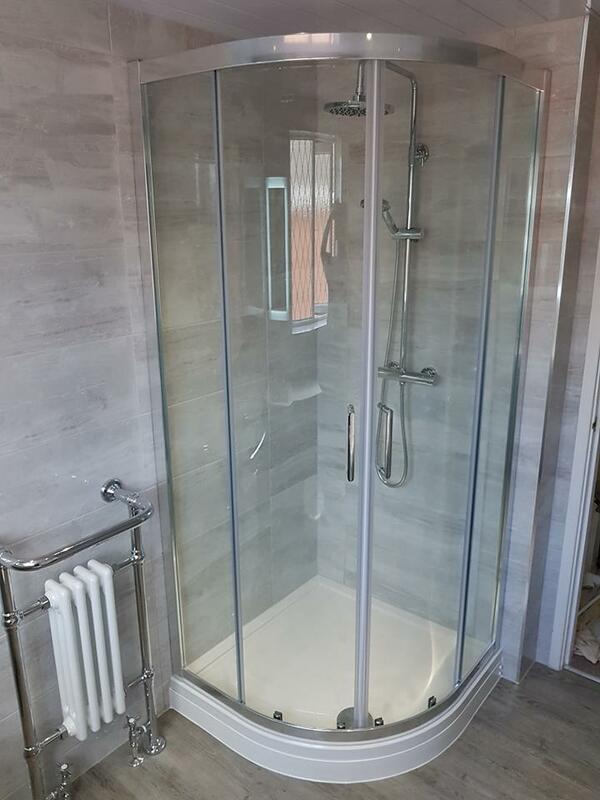 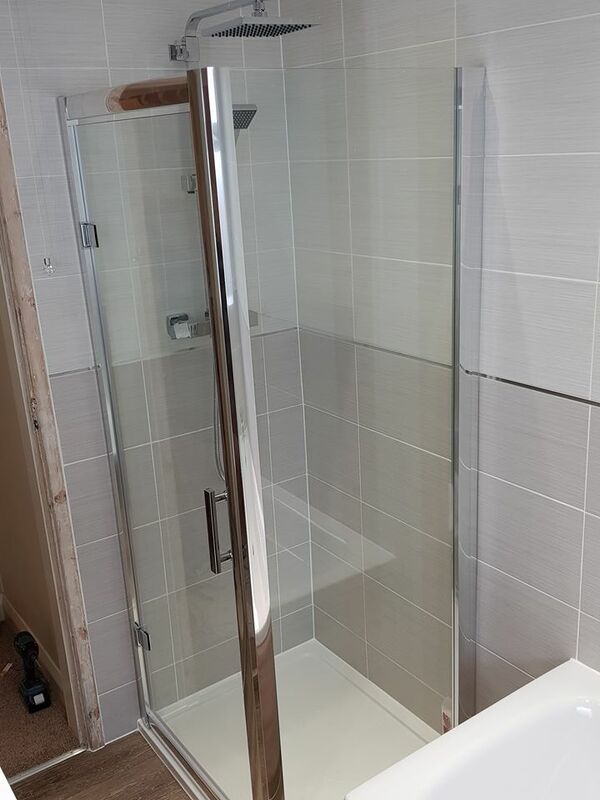 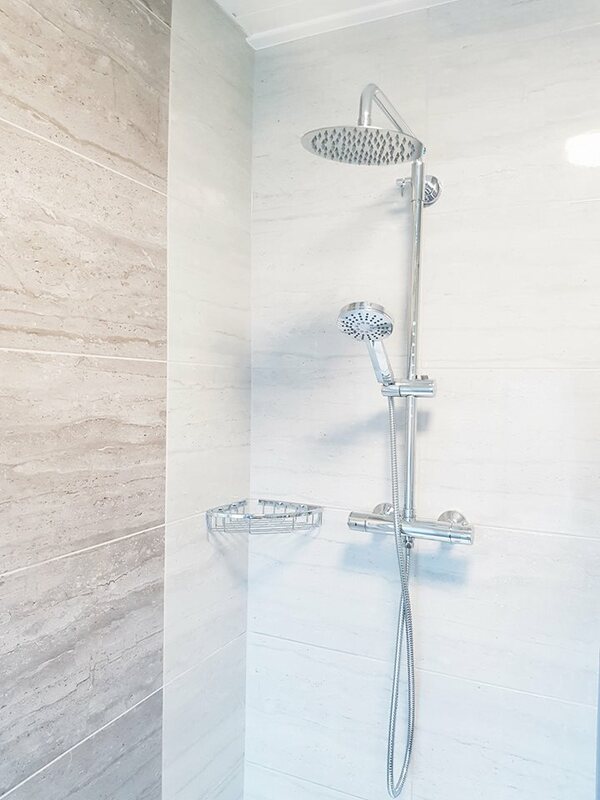 We also managed to fit in a 900x900mm quadrant shower enclosure with a dual head drench shower. 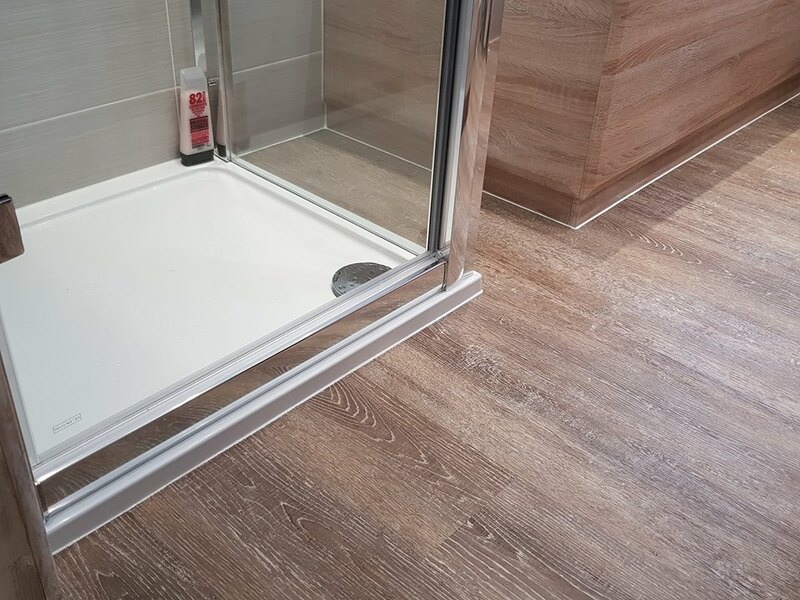 The floor is click vinyl, which is specificaly designed for bathrooms where moisture is present. 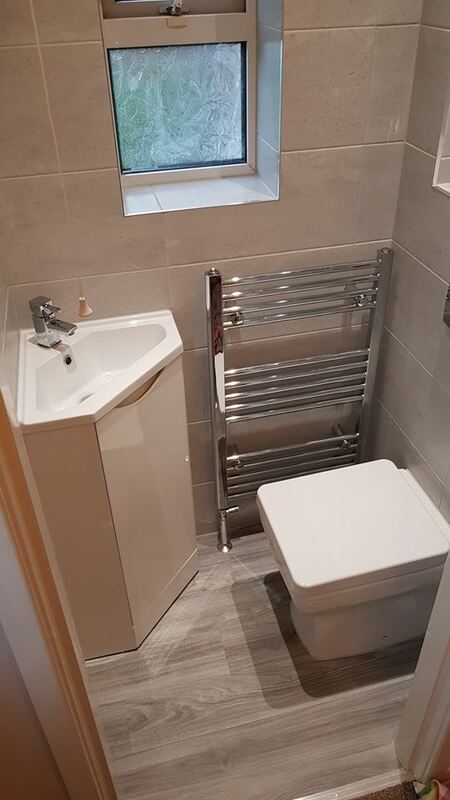 This is quite a transformation from the previous bathroom. 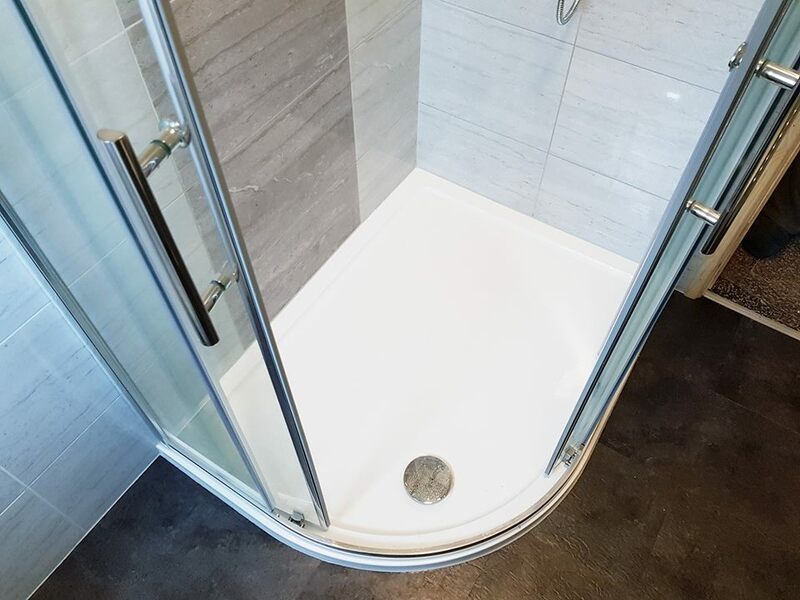 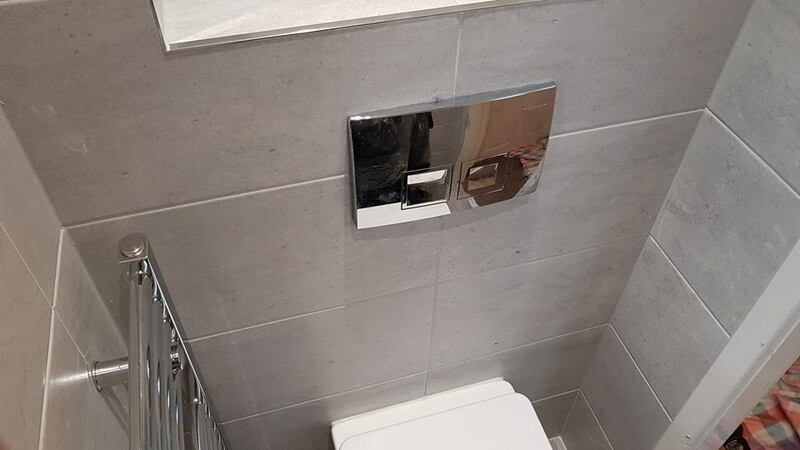 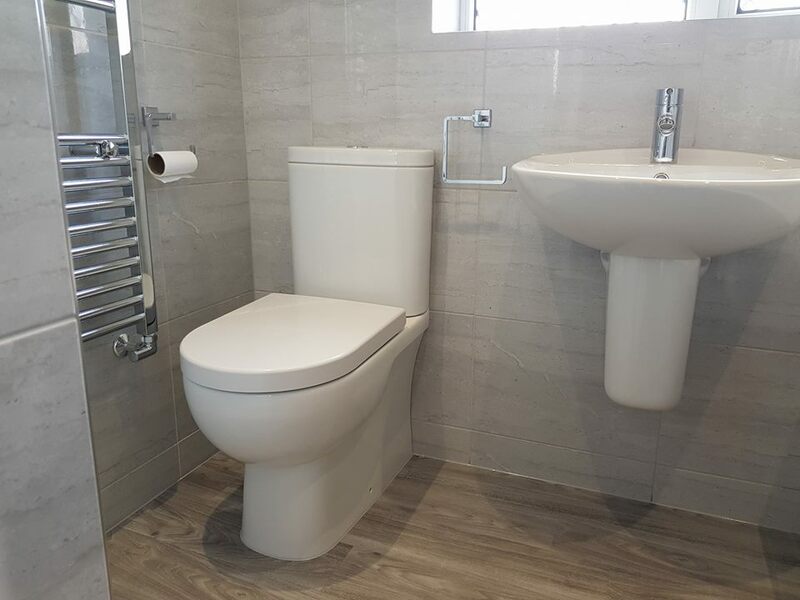 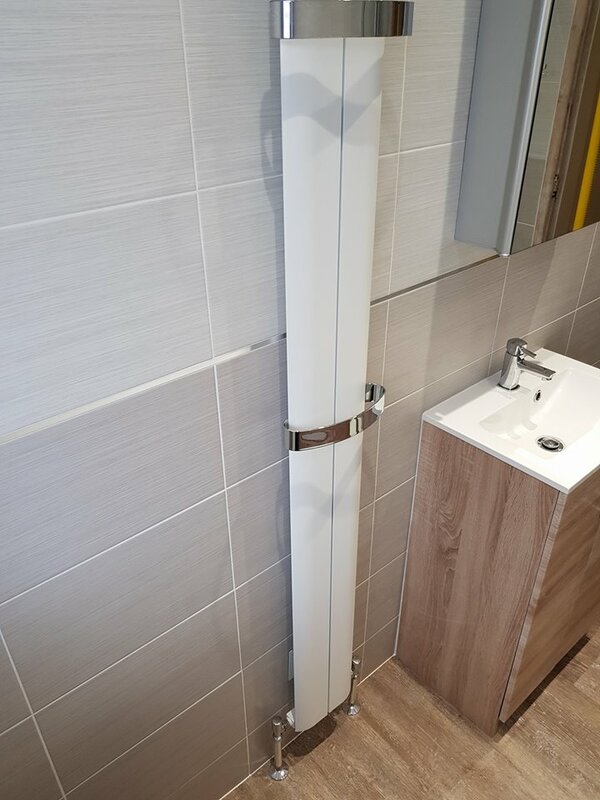 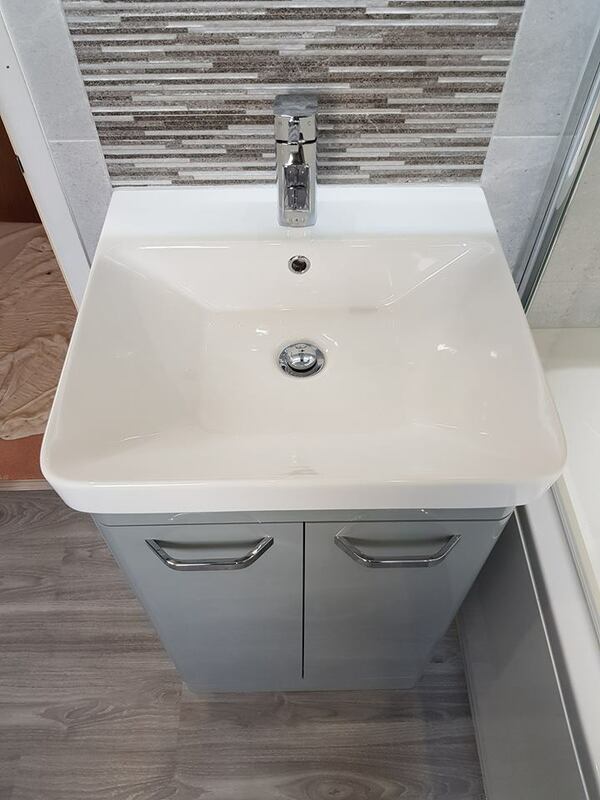 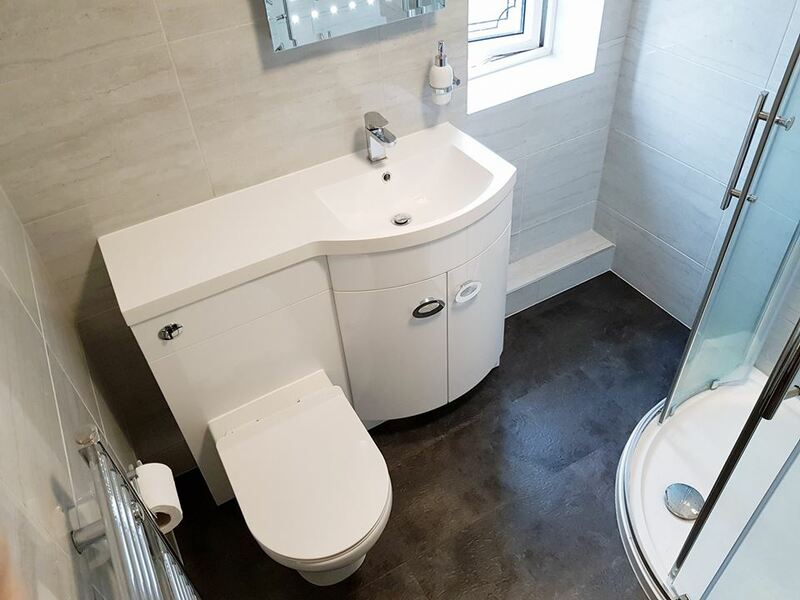 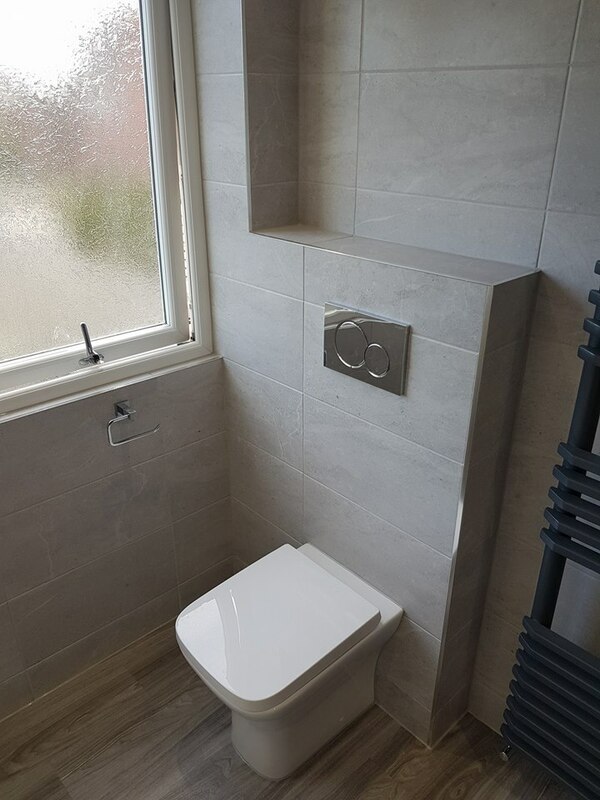 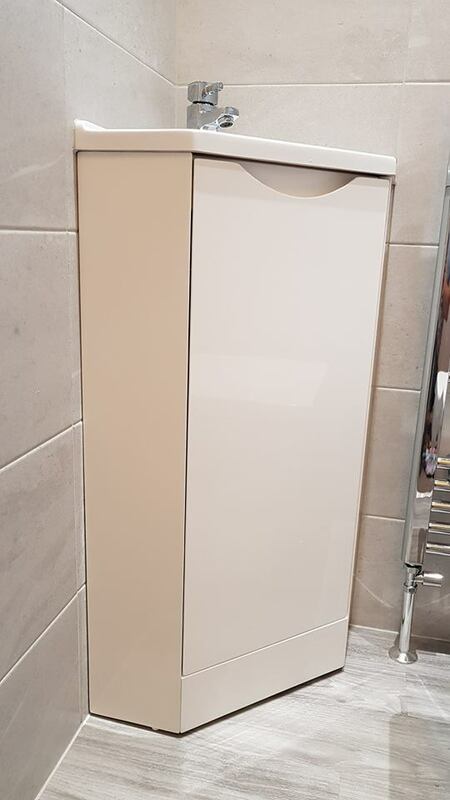 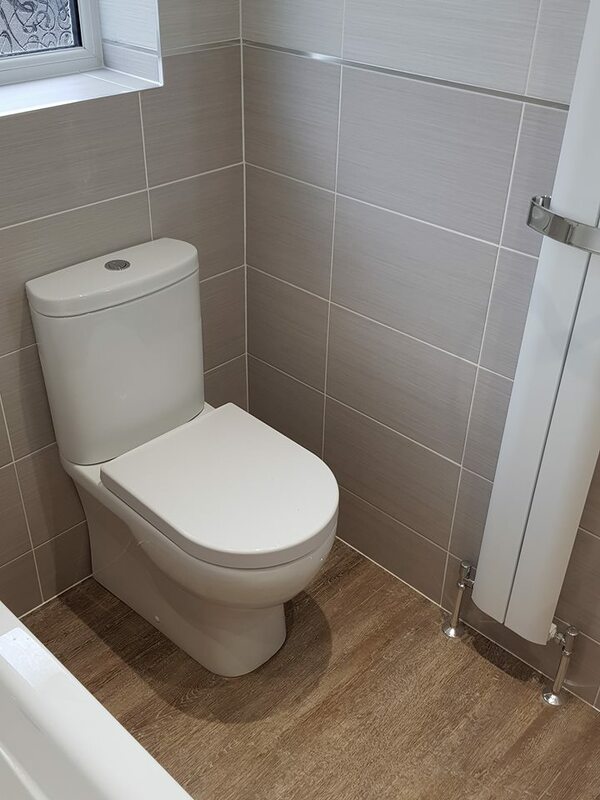 Here we installed a geberit concealed cistern, which was boxed in making it blend into the bathroom. 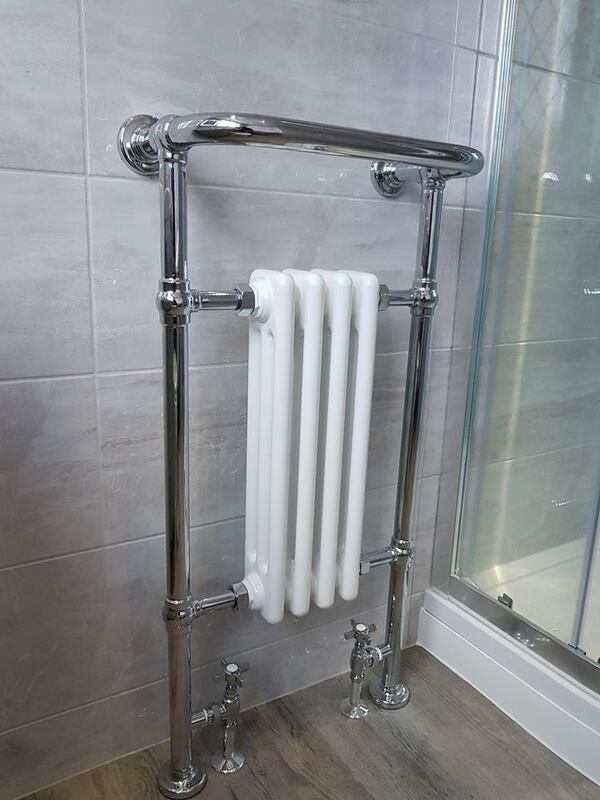 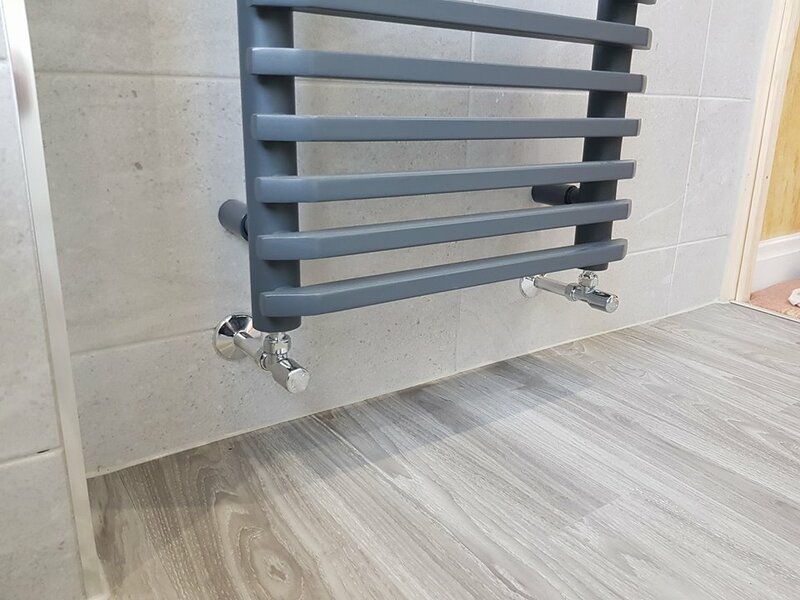 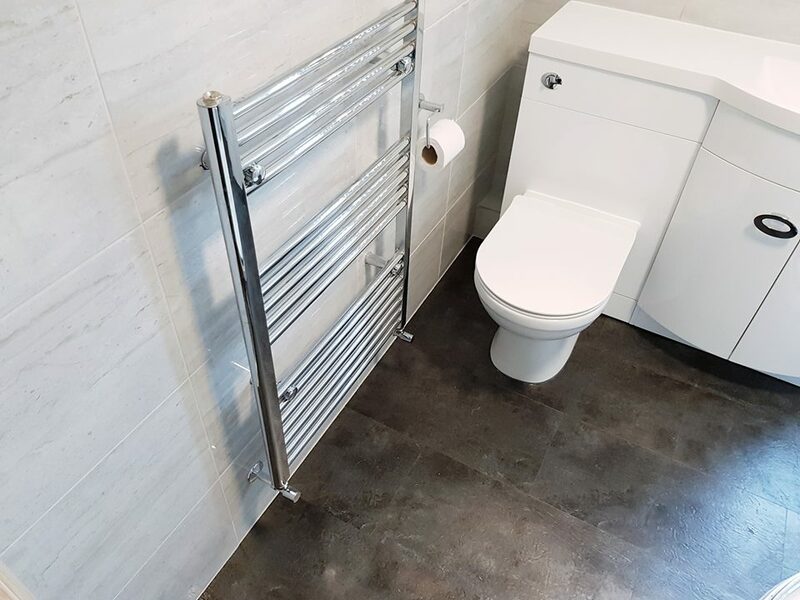 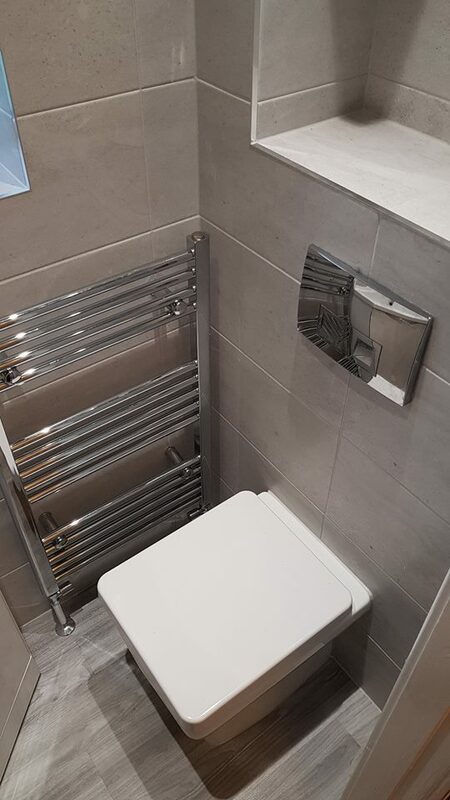 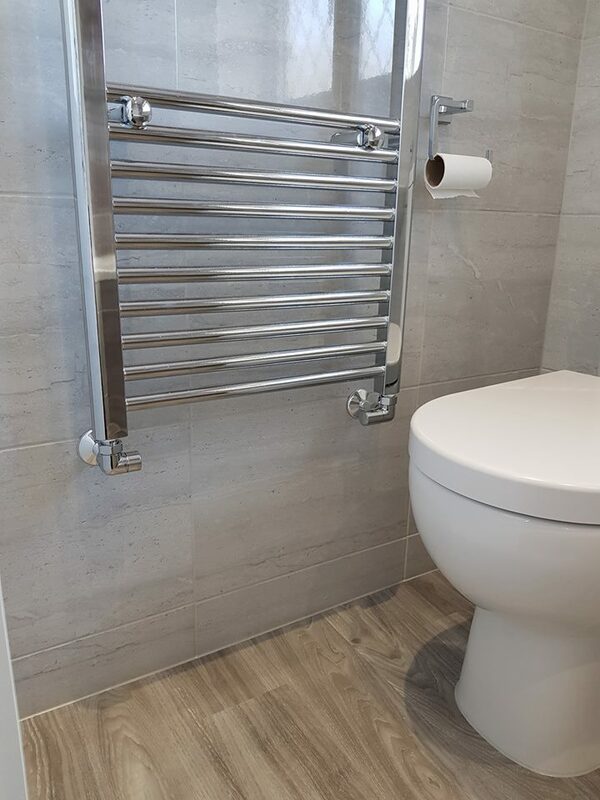 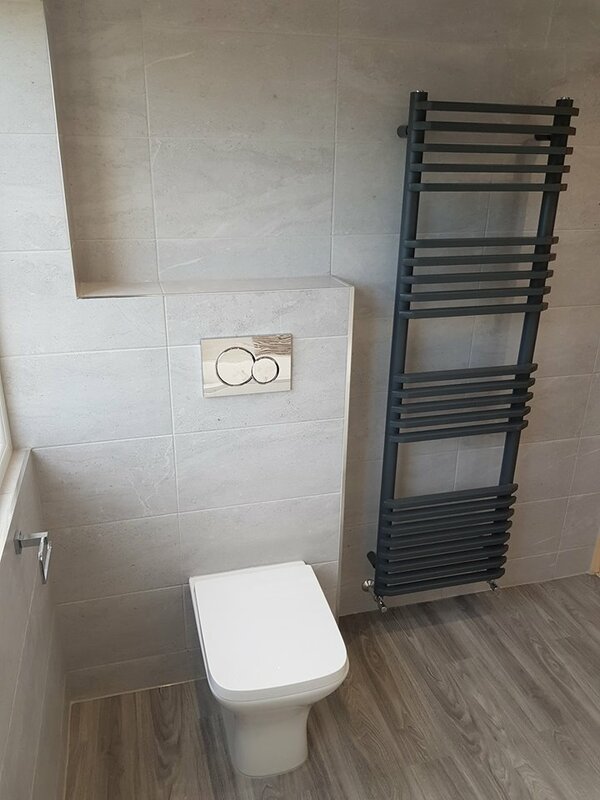 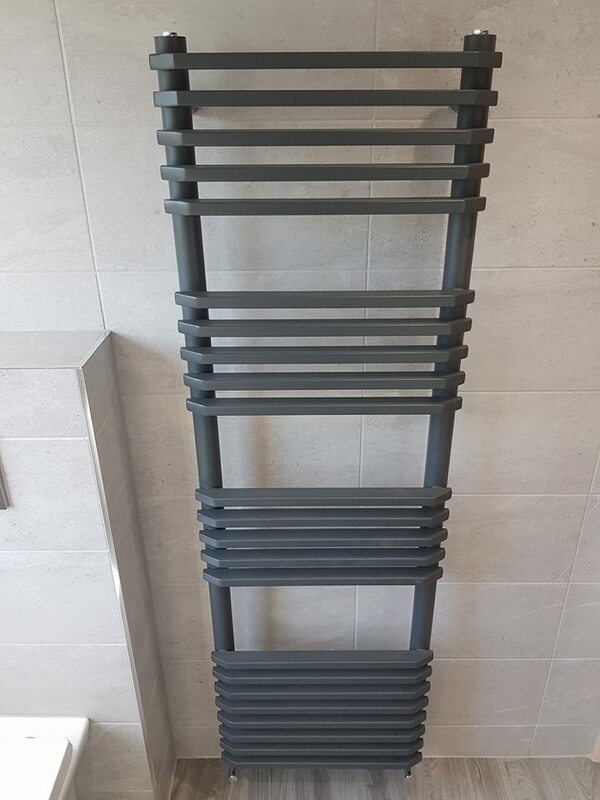 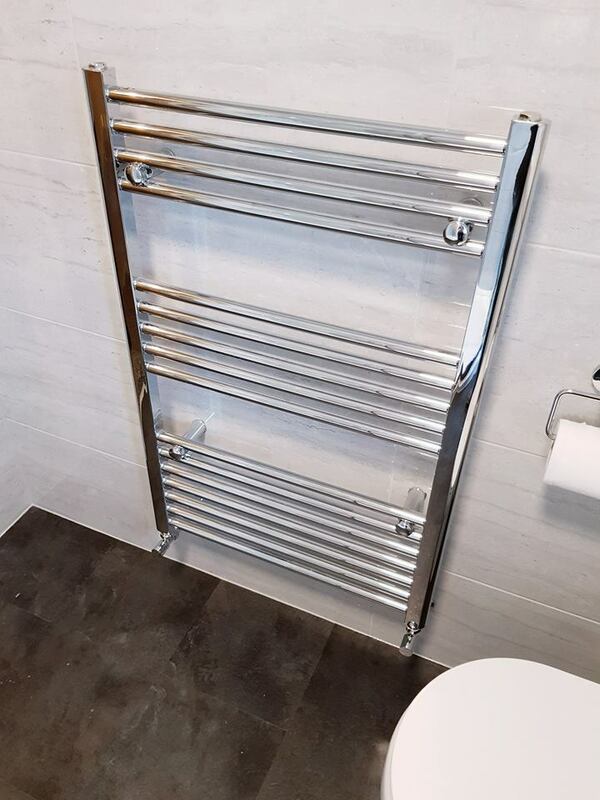 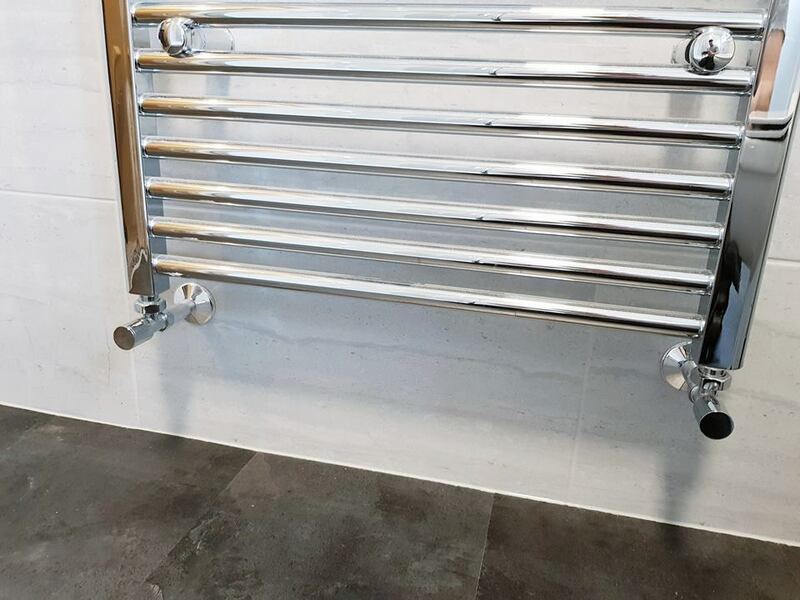 The anthracite towel rail is a great contrast to the light grey tiles, which are such a popular colour at the minute. 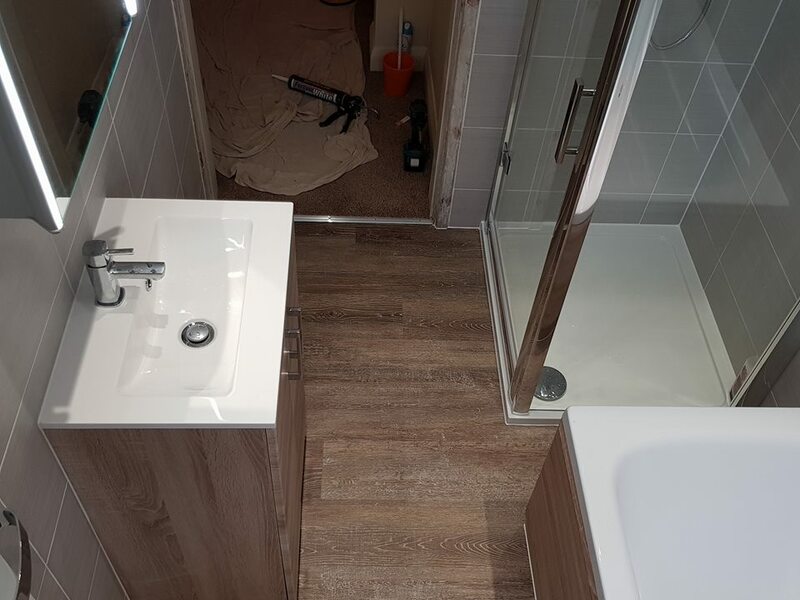 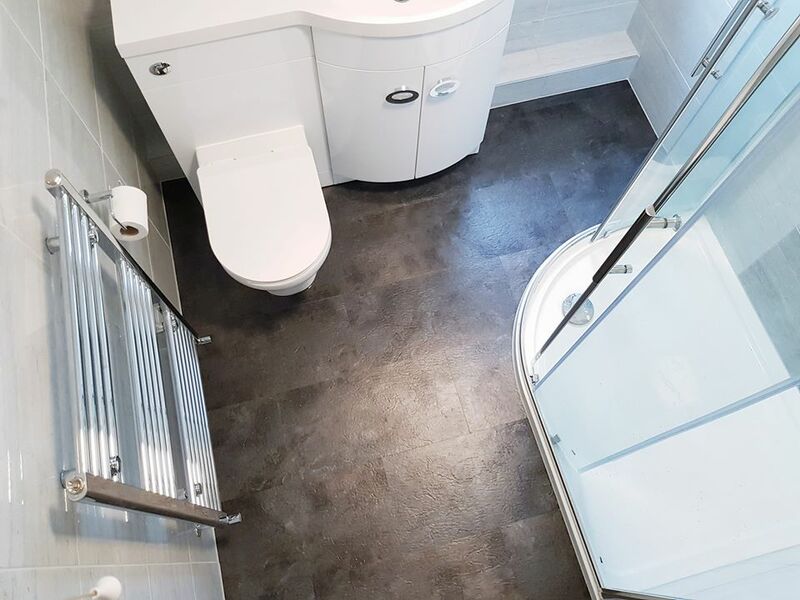 This bathroom in Castleford was a little tight on space as the hot water cylinder was housed within a cupboard in the bathroom. 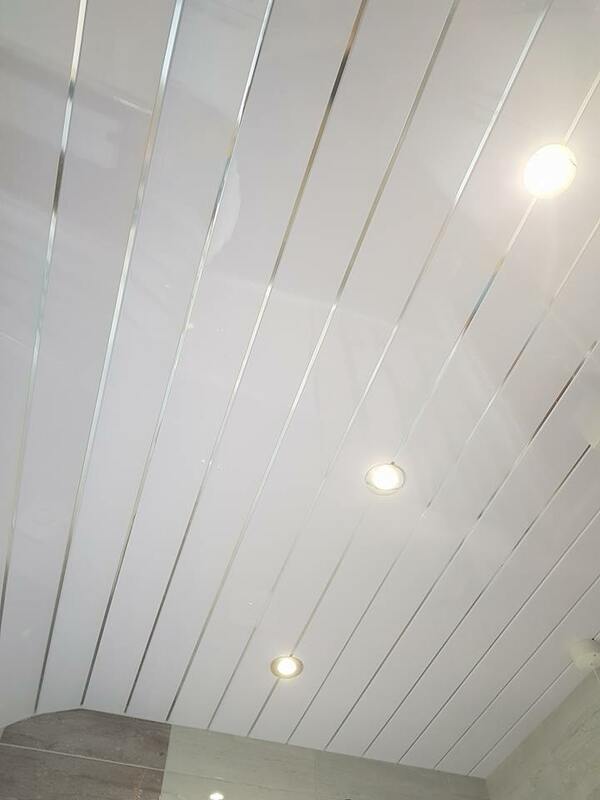 We added white gloss slab doors to the cupboard to give it a nice finish. 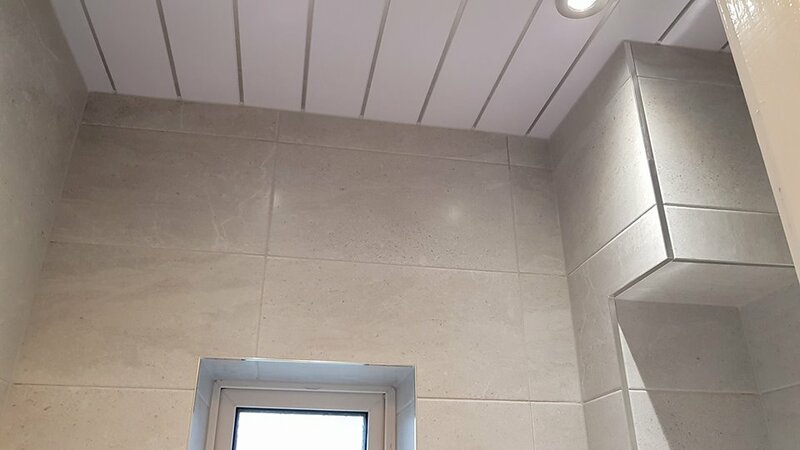 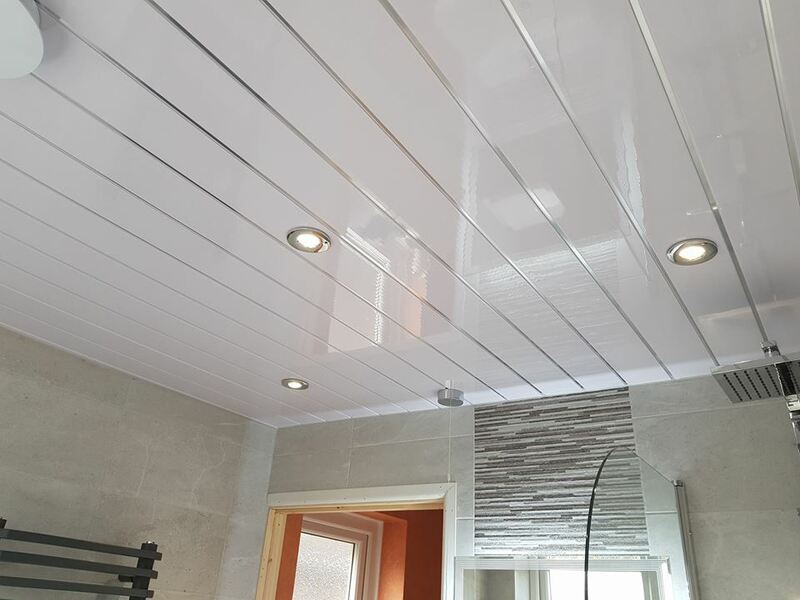 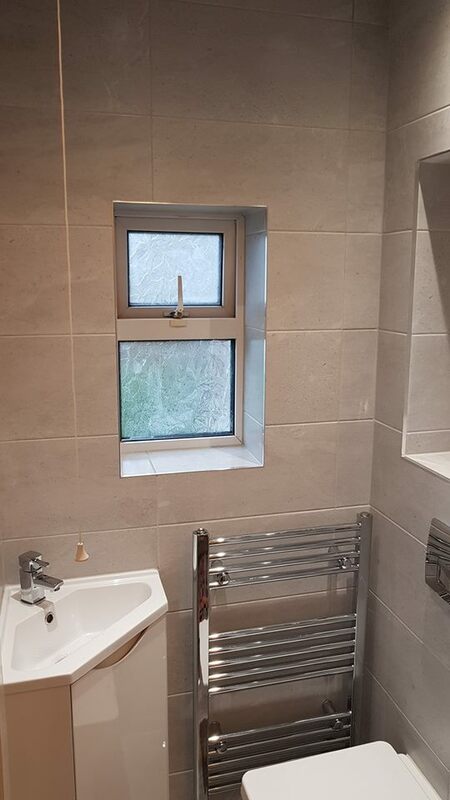 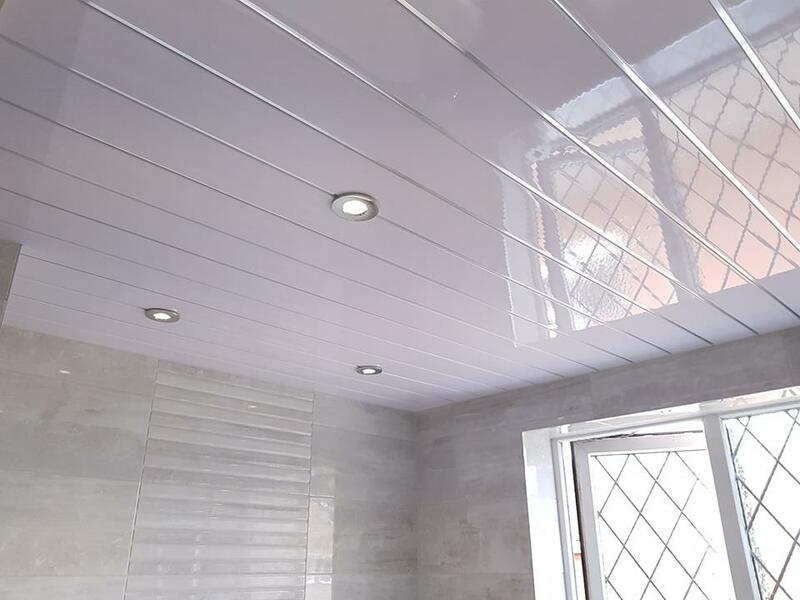 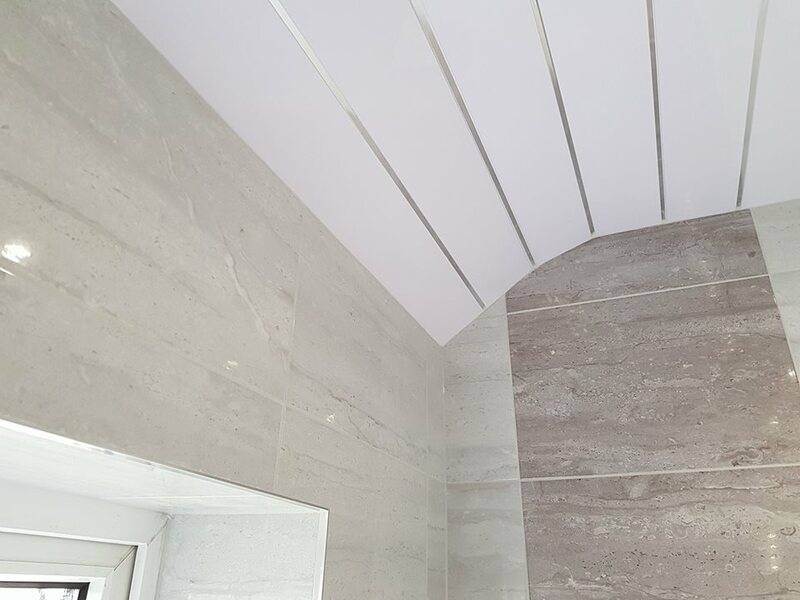 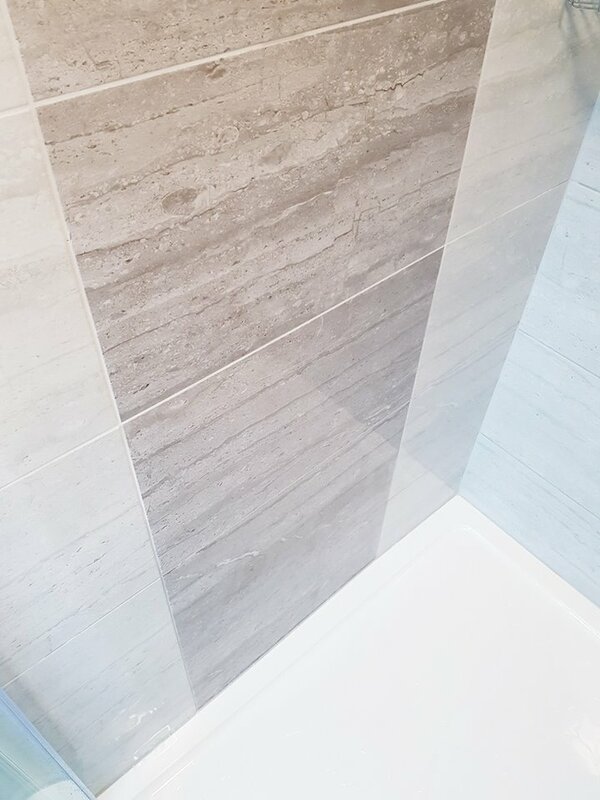 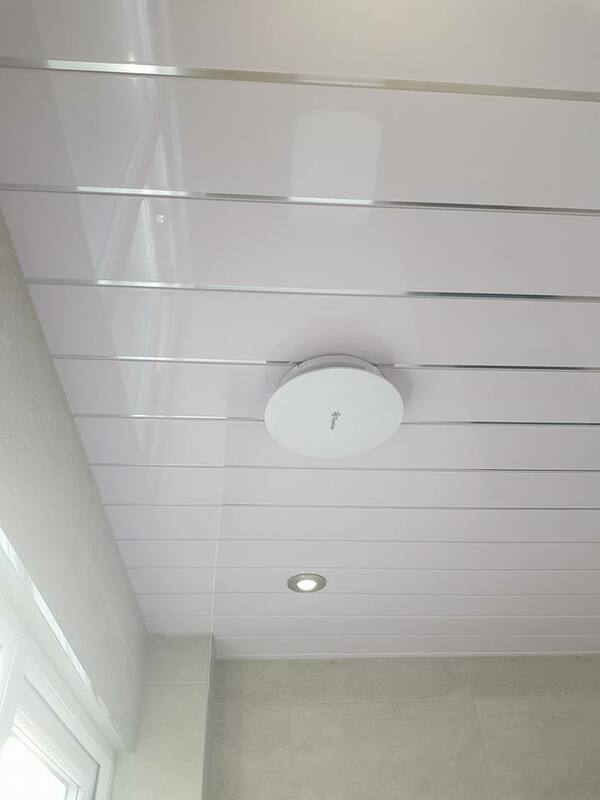 We also tiled the bath panel in to match the rest of the bathroom and moulded the ceiling panels to the shape of the ceiling, which curved down toward the window. 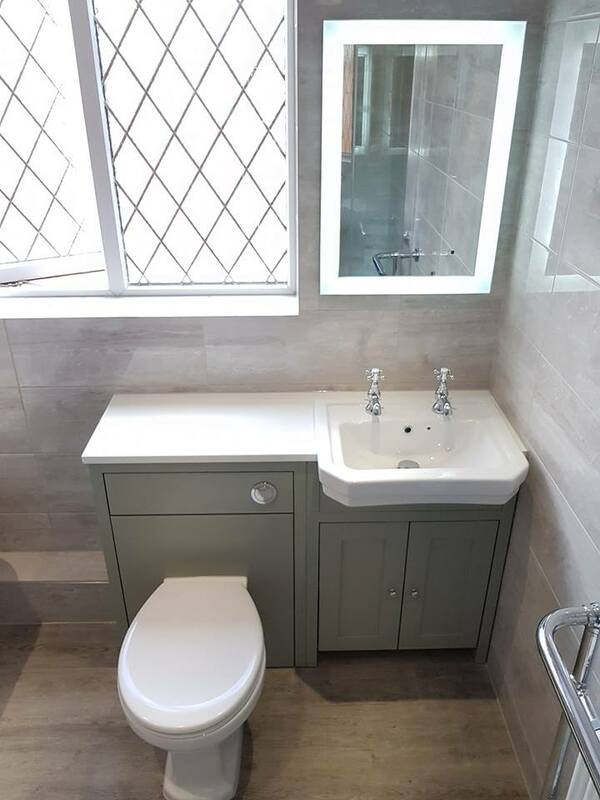 We have done several bathrooms in this colour scheme and i expect we will do many more as we think it looks great. 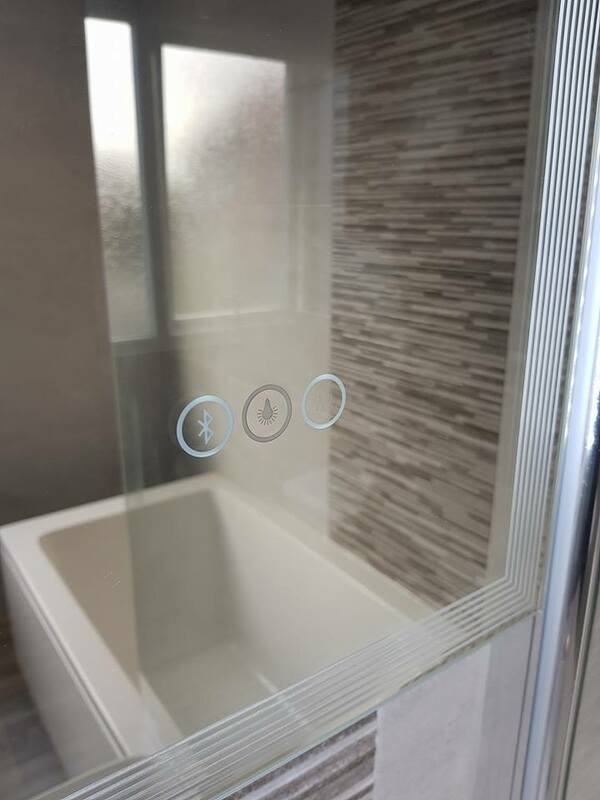 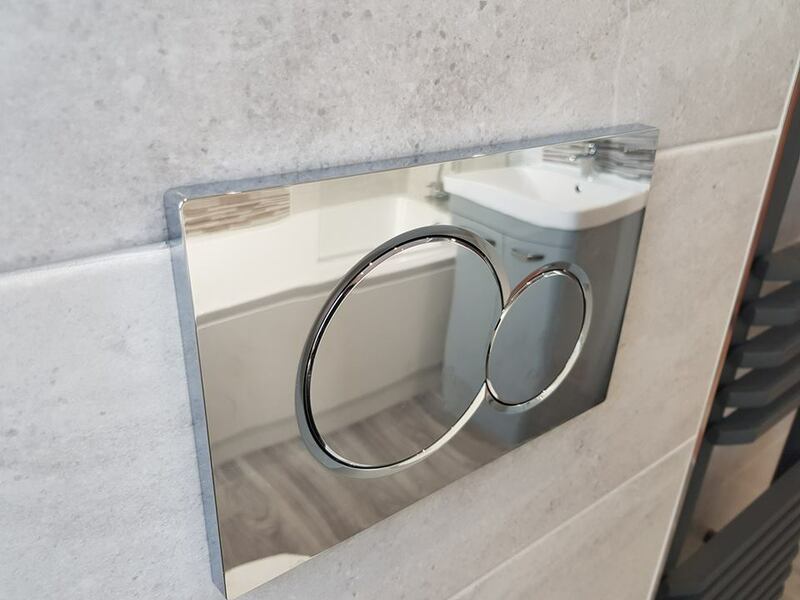 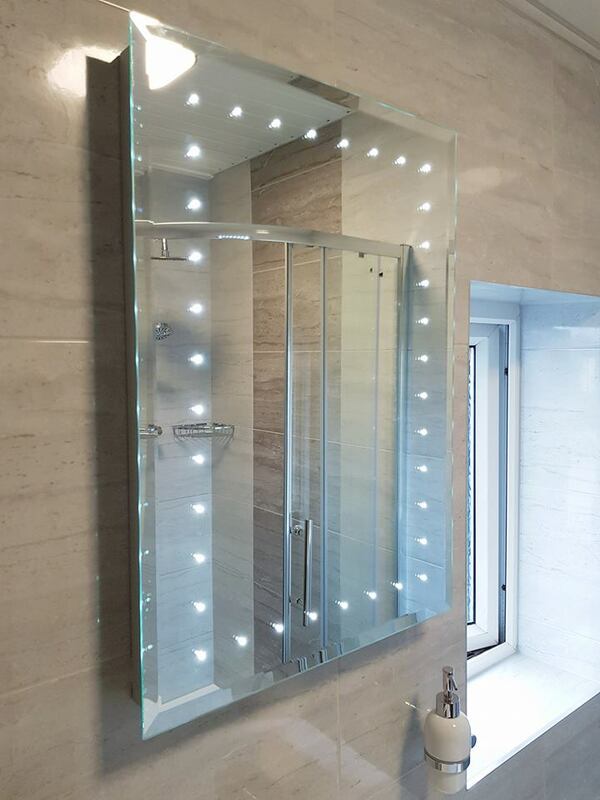 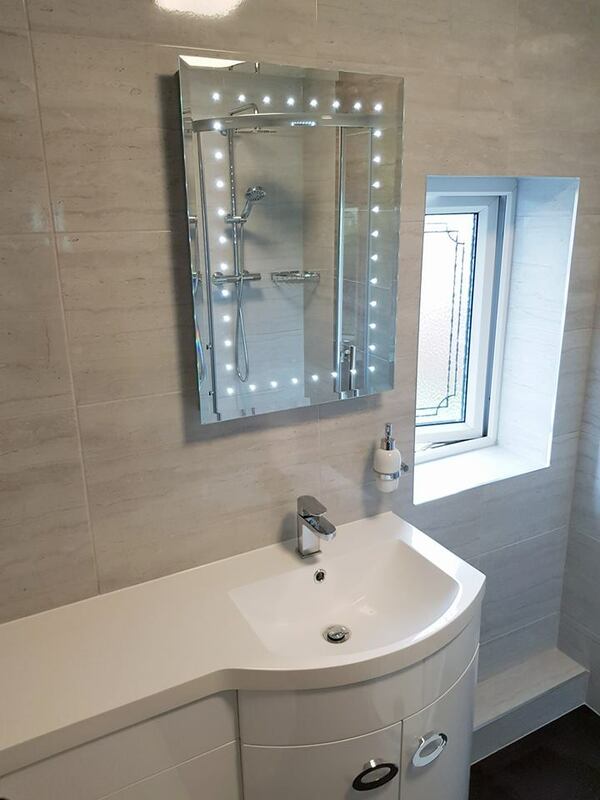 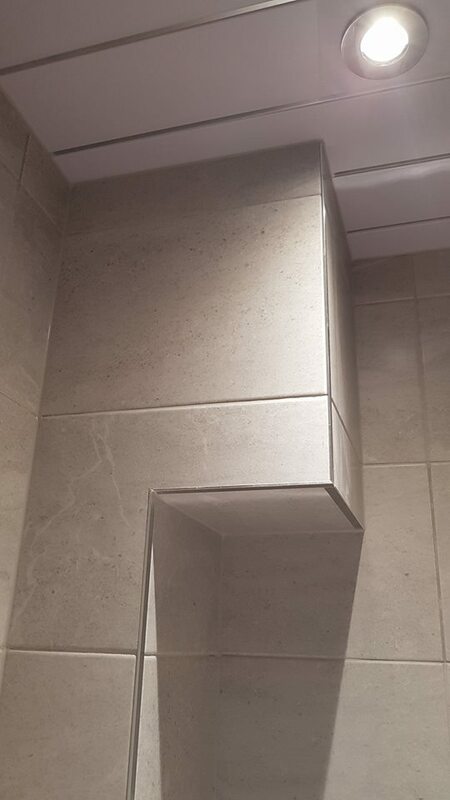 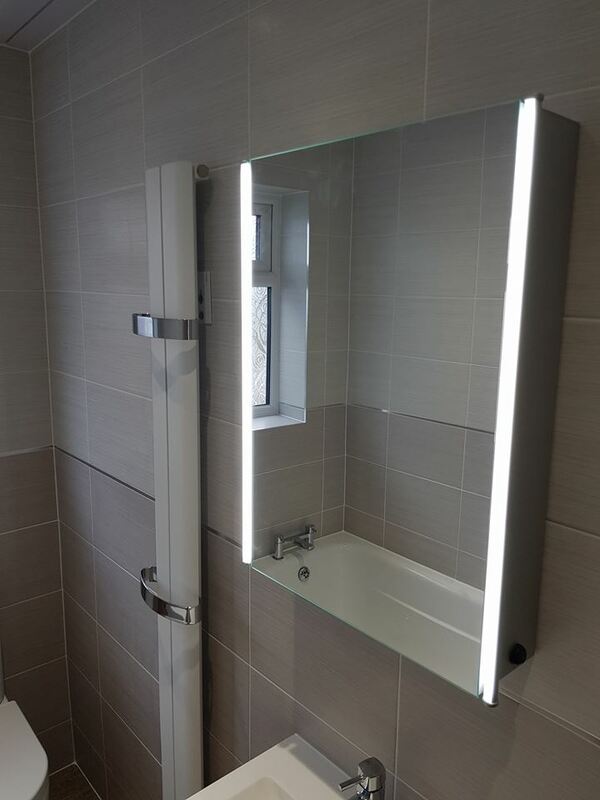 The mirror we installed is LED lit and comes with shaver socket and de-mist pad build in. 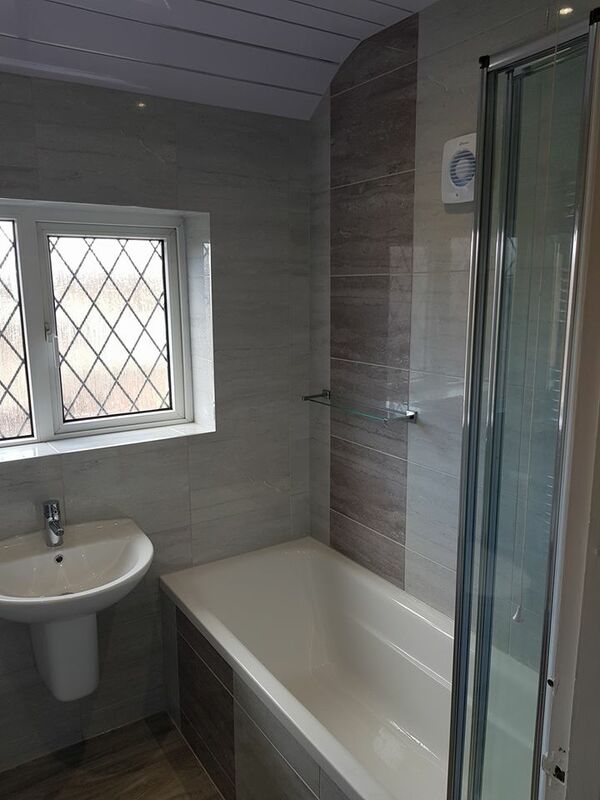 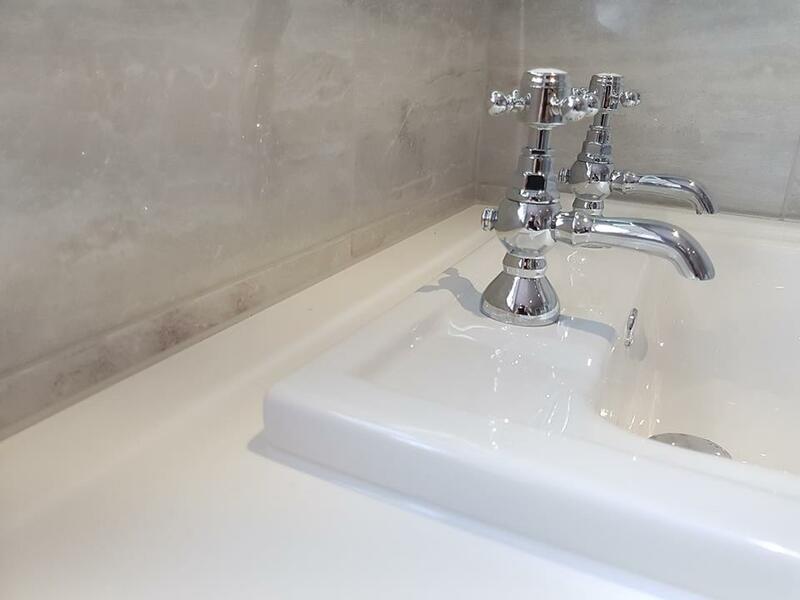 A larger than average bathroom we completed in the village of Thorpe Willoughby. 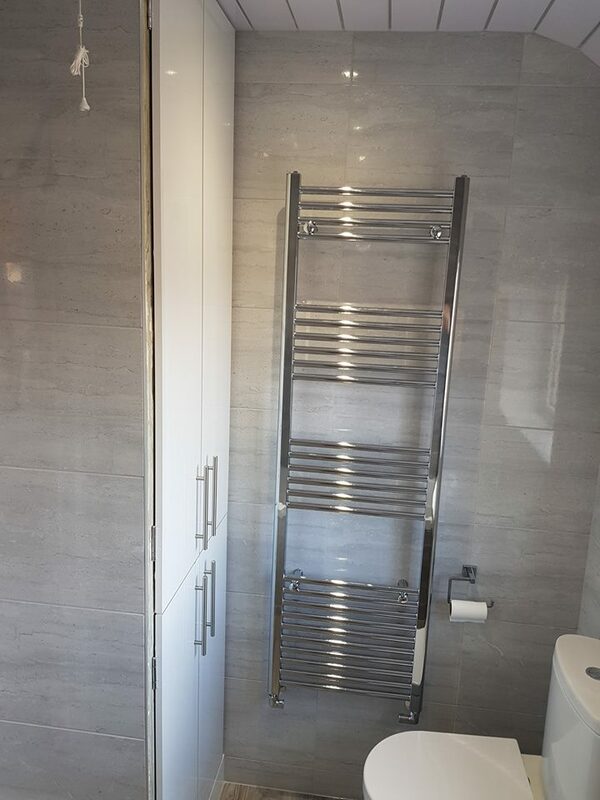 We did a 2 tone tile scheme with a chrome strip seperating the tiles. 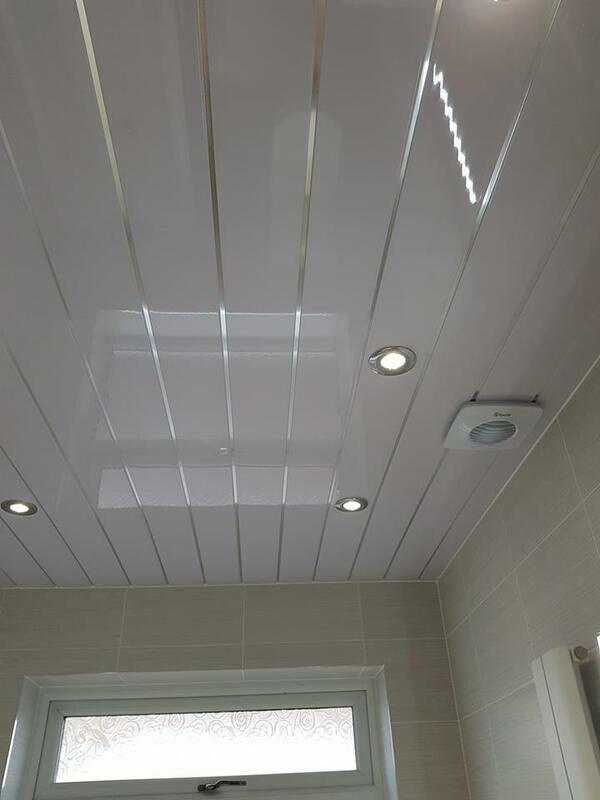 We also installed click vinyl flooring, plastic ceiling with LED down lights and an LED mirror. 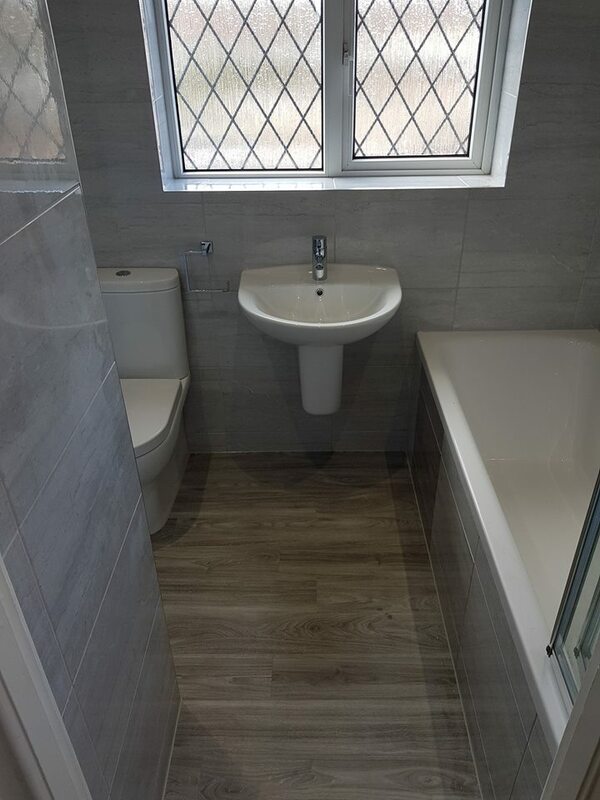 As well as bathrooms we also do cloakrooms. 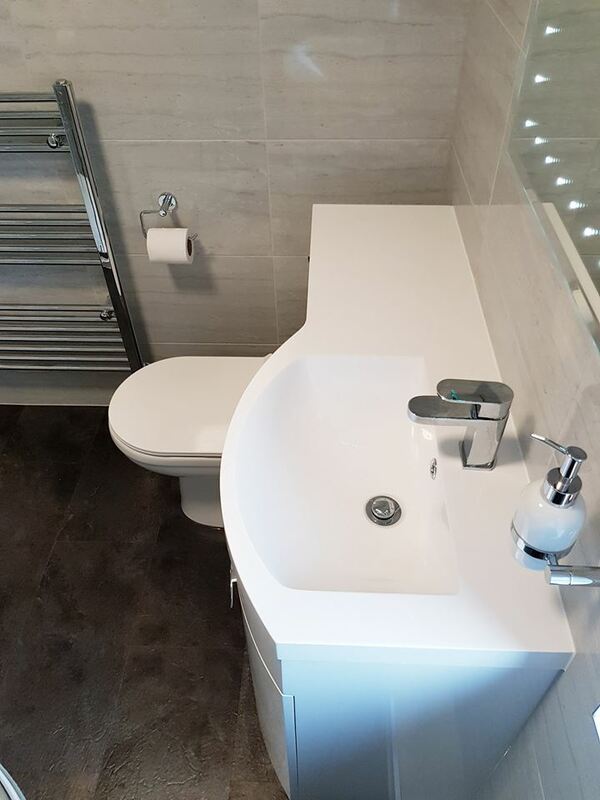 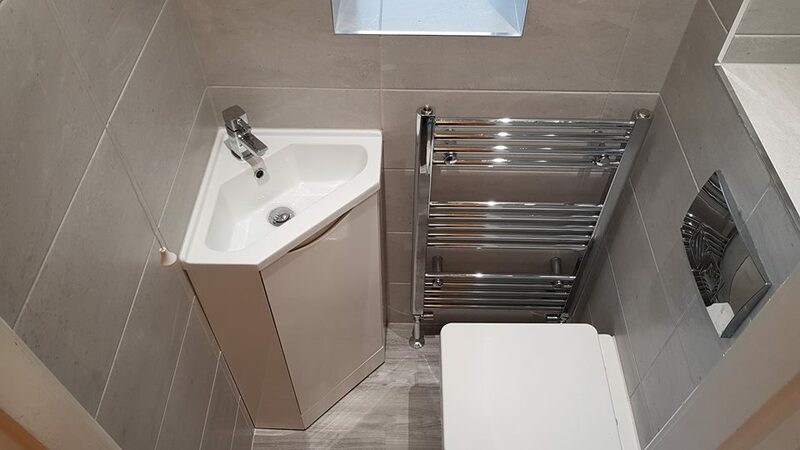 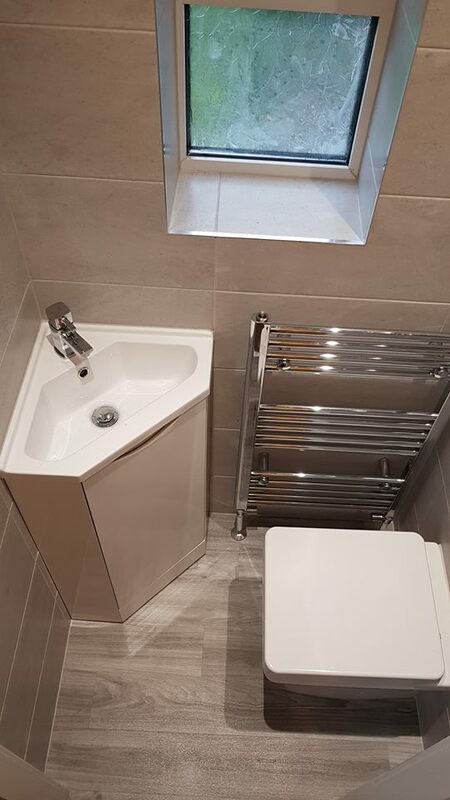 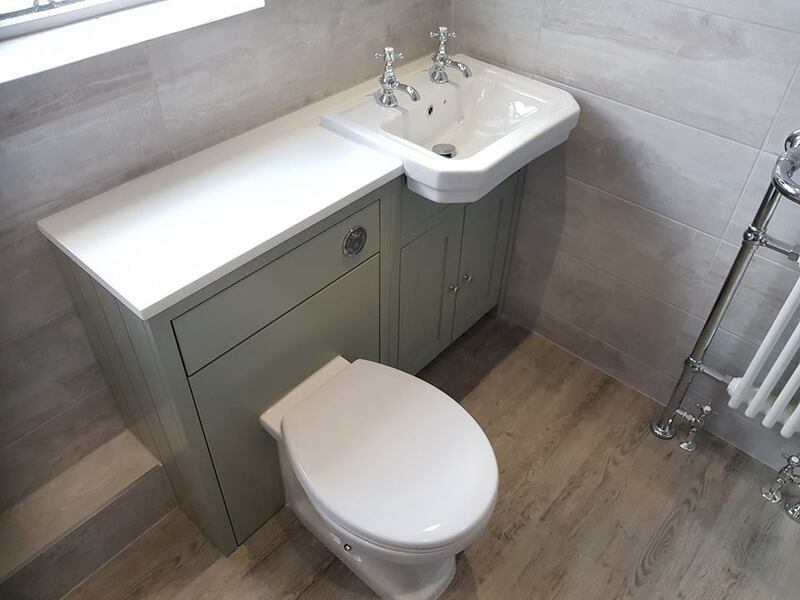 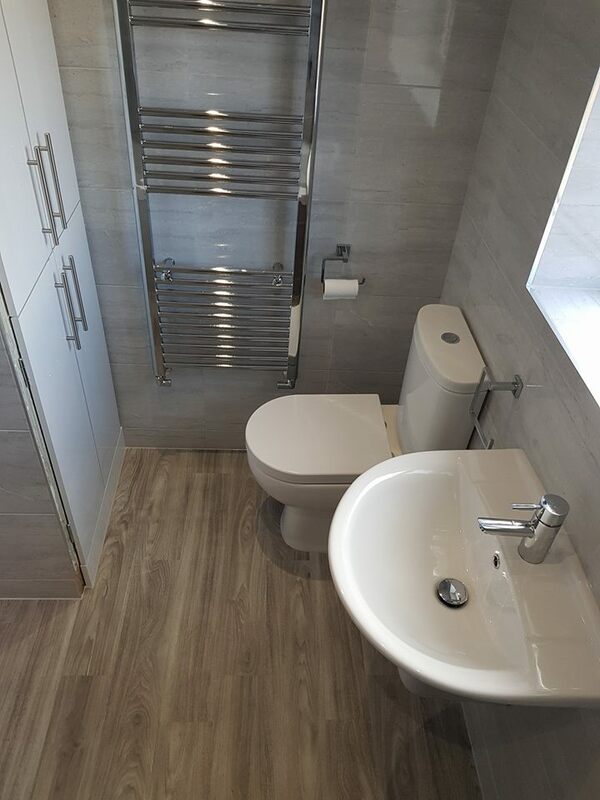 This was very tight on space so we added a concealed cistern, corner basin unit and even a radiator. 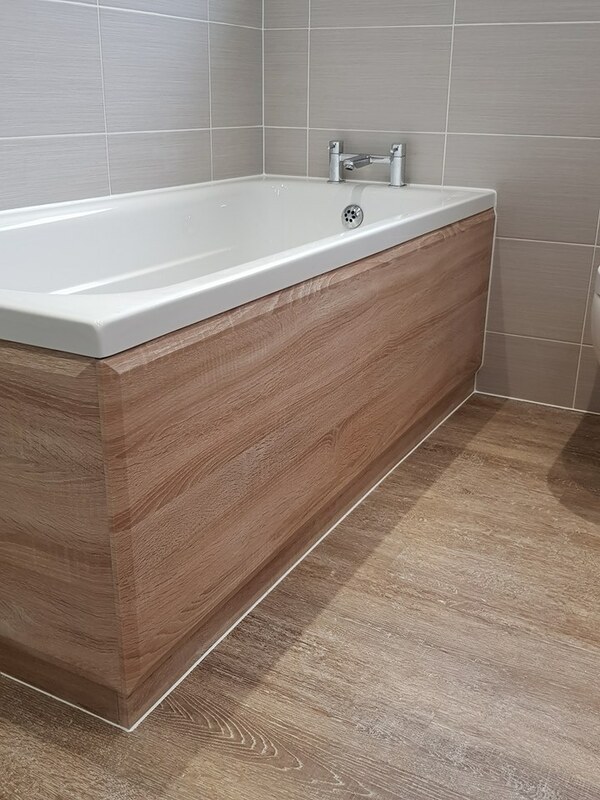 The room was fully tiled with click vinyl flooring and chrome trims.